Natasha Sims – Operations Manager at Oliver Bonas. People counting technology has transformed the way business decisions are made. 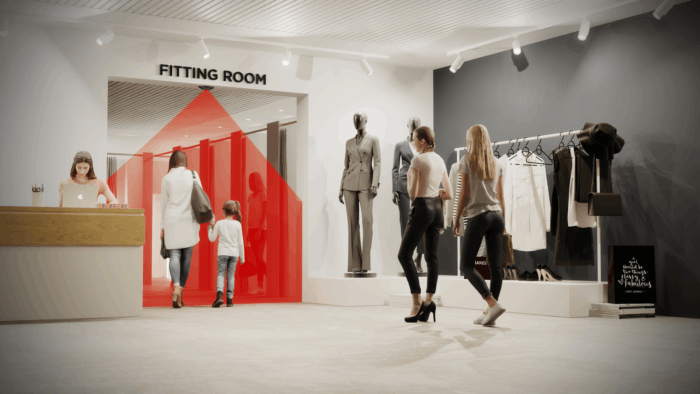 Tracking your retail footfall is a practical way to get a clear picture of occupancy, customer flows, and visitor numbers. In addition, it can help you improve the performance of your stores and improve retail conversion rates. Retailers are always looking for ways to maximise performance. However, sales figures alone are not enough to judge success and drive decisions. Spending time and money on marketing and advertising can be frustrating when you only have limited tools to help you understand your return on investment. Axiomatic have worked with many national retailers who have all seen the benefits of measuring their footfall. For example, Harveys and Bensons chose Axiomatic to deliver their footfall counting system and are reaping the rewards. How many customers am I getting? Did my promotion really work? Did our advertising increase footfall? How can we plan for peaks and troughs in footfall, occupancy, pedestrian flows or retail traffic? Can we schedule staff to improve customer service? How can we accurately compare performance across multiple locations? Evaluate and adapt marketing activities according to retail traffic. Improve customer service and reduce staff costs, by matching staff levels to your busy and quiet periods. Make best use of low occupancy periods for maintenance activities. Receive live occupancy counts to manage site capacity levels. Assess your sales conversion rate and see how new product lines or services affect footfall. Look for patterns in your retail footfall based on region, time of year and other factors. Identify high performing stores and pinpoint the reasons for their success.